但是用 Javasprict 不能用 sidebar-right-1.style.display=none; 這種語法, 只可以用 getElementById("sidebar-right-1") 這一個. 問題是, sidebar-right-1 是最後寫入網頁, 如果用讀入 cookie 後由 getElementById 處理, "側邊欄 "會出現一段短時間, 之後才會隱藏, 而不能未寫入之前, 已經準備好 display=none 馬上隱藏. 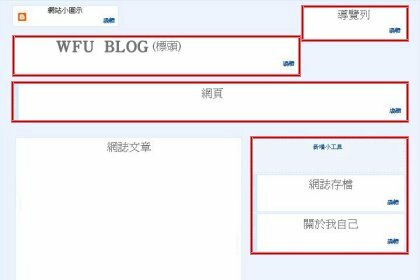 那麼便不用等待 sidebar-right-1 在網頁成立後再由 getElementById 讀取處理. <8871689431795168874>(以上內容請勿刪除,從括號之後開始留言)我瞭解你的意思了，想要在 head 就根據 cookie 設定 css 的狀態。js 做得到這件事, 動態把一個 style 標籤含 css 的內容插入 head 之中即可. 但一樣建議不要把這段 js 放在 head 之間, 可放在 body 的第一行執行，這樣存取 head 標籤比較能跨瀏覽器支援. "js 做得到這件事, 動態把一個 style 標籤含 css 的內容插入 head 之中即可." 試用了 insert style in head 這個方法, 可惜相關 JS 代碼比較複雜, 需要時間執行, 結果跟之前的差不多, sidebar-right-1 還是會閃現一下才隱藏.